HIGH TEMP. 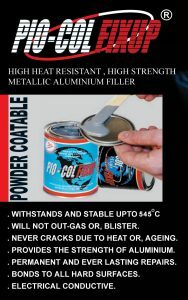 METALLIC FILLER: A high temperature resistant metallic filler compound with excellent mechanical strength and durability. 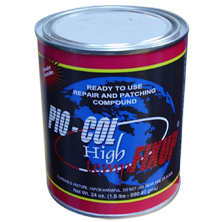 Piocol Fixup is applicable in oven curing coating systems such as powder coating. It can withstand up to 545C. Two different products one with temperature resistance up to 210 C and other one with temp resistance up to 545C. STRTECHWELD: A state of the art pipe repair system with quick results. It has high mechanical strength and chemical & temperature resistance. A water activated composite repair system ideal for emergency repairs of pipe bursting and other rectification purposes. 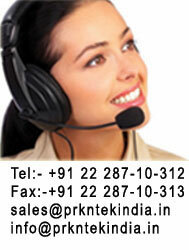 It provides a long lasting and permanent results in every situation. 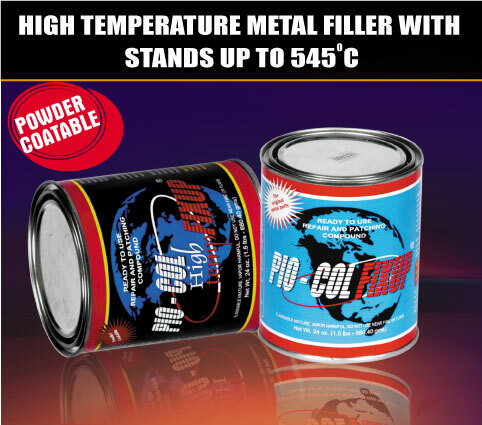 PIOCOL HIGH TEMP: is a high strength metal repair filler putty & repair compound, which withstands extreme temperature upto 545C. 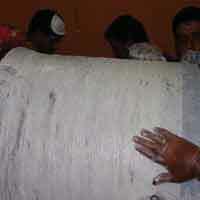 It can be used as a repair material for many industrial applications. It is machinable. It is further suitable for powder coating applications. It gives perfect finish after powder coating. INDUSTRIAL FLOORINGS: State of the art flooring products and systems which gives a long lasting, attractive, chemical and abrasive resistant floor for years of rigorous service. 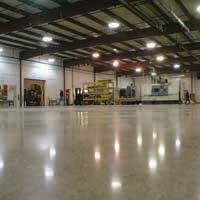 Advanced equipments, skill and high technology flooring products which include lithium based, Epoxy and ceramic oatings.